Preheat the oven to 350F and spray bottom of a 9-inch springform pan with oil, then line with parchment. Beat the flour, sugar, baking powder and salt in a bowl with a stand mixer until combined. Gradually add butter until fine crumbs form (around 1 min). Add egg, lemon juice and sour cream to mixture and beat on low until just combined. Scrape the sides and bottom of the bowl with a spatula until mixture is evenly combined. 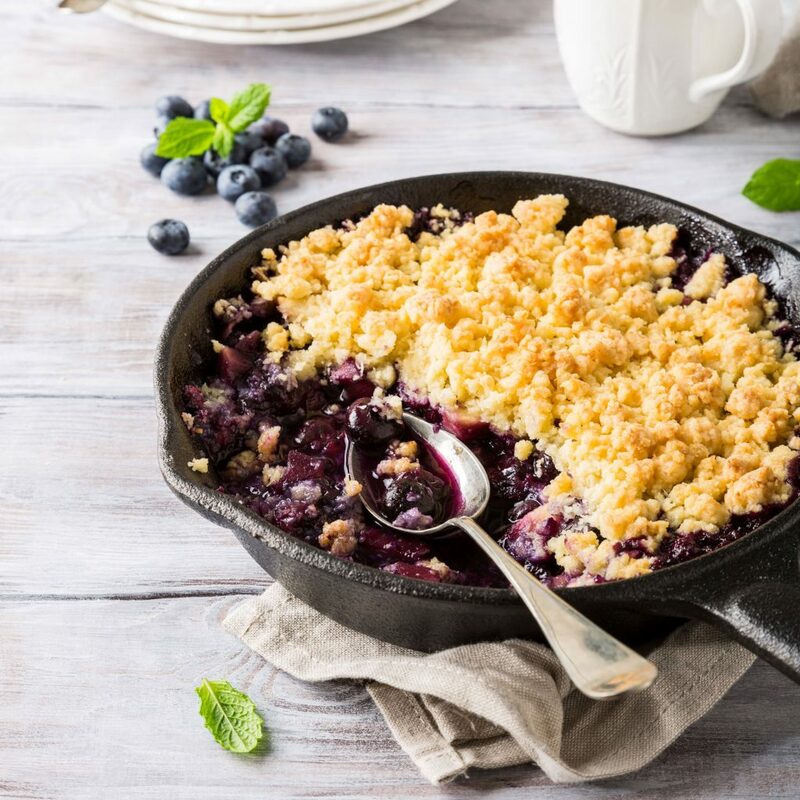 Toss the frozen blueberries with 1 tsp of the cake and pastry flour in a small bowl to coat. Add to batter and quickly stir. Scrape into the prepared pan and smooth top. Set aside. In a separate bowl, stir the flour, granulated sugar and packed brown sugar and salt. Stir in the butter with a fork until crumbly. Sprinkle the crumb topping on the batter. Place in the oven until crumbs are golden, about 40 minutes. Let cool. Remove the springform pan and let cool. Dust with icing sugar (optional).